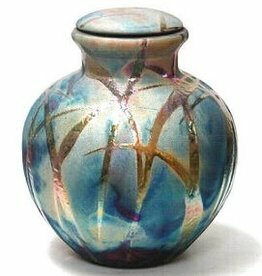 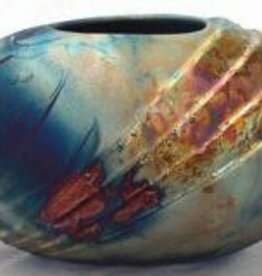 Raku fired pieces are removed from the kiln at 1700F and placed into a container with combustible material for reduction. 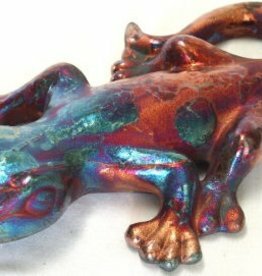 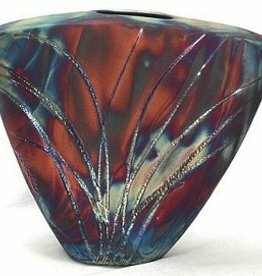 The flames and then lack of oxygen create the colors and patterns which make each piece an original work of art. 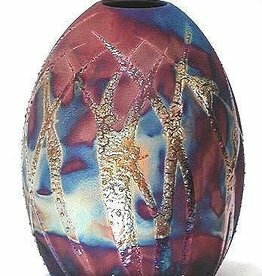 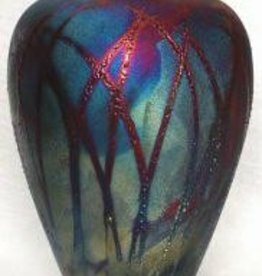 Approx 11" H, 5" D.
Raku fired pieces are removed from the kiln at 1700F and placed into a container with combustible material for reduction. 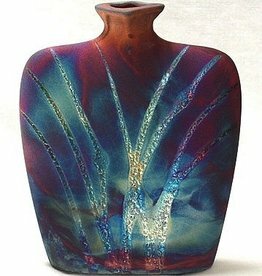 The flames and then lack of oxygen create the colors and patterns which make each piece an original work of art. 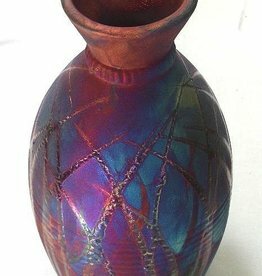 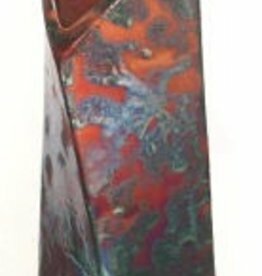 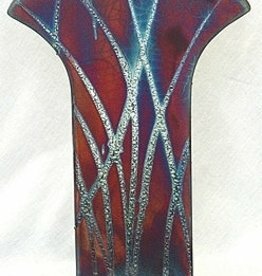 V-Vase is 14"H x 16"